100% cotton 6.5 ounce soft washed denim long sleeve shirt. 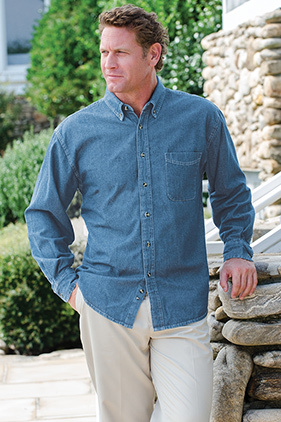 Button down collar, woodtone buttons, left chest pocket, two-play back yoke. Long sleeve style has adjustable placket cuffs.